We're halfway through November which means the emotional barricades currently staving off Christmas spirit are yielding to the sheer bulk of Yule tidings and um, shopping. 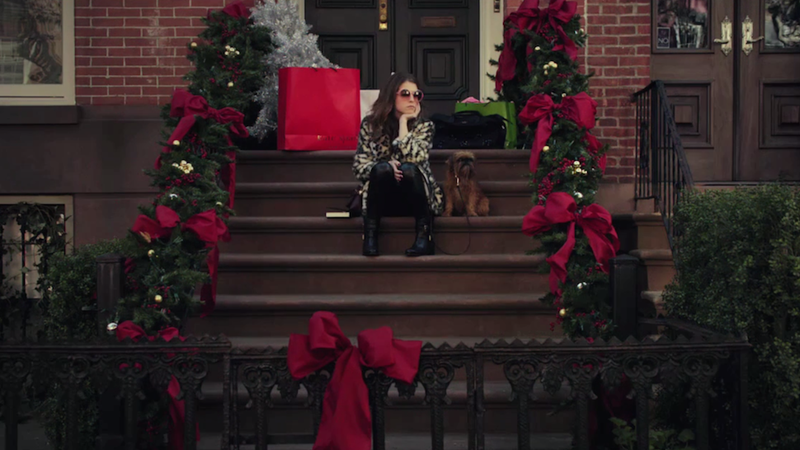 So yeah, check out this Christmas shopping-themed Kate Spade video because dammit, Anna Kendrick is in it and she's great. The video is also "interactive" in that you can click on a number of items in the video to get information about them—the sunglasses, the shoes, the bag, the dog collar, whatever. While all this interactive hoo-hah makes me deeply uncomfortable about the state of consumerism, I'm Team Anna Kendrick in general and this is probably the most tolerable Christmas ad we'll be seeing all season.